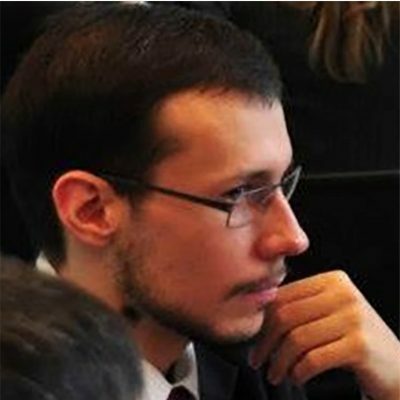 As an expert on international relations and foreign operations, after working as a researcher in the prestigious Russian University for International Relations (MGIMO) Dmitry has moved to New York, the United States, as an expert on public diplomacy and track-two diplomacy with the responsible Russian not-for-profit entity called The Institute for Democracy and Cooperation, created on the initiative of the President of Russia. In 2009 he returned to Russia to become the Executive Director of the Russian-Swiss Business Council, an organization that brought together, in two separate tiers, Small and Medium enterprises and the leading businesses of the two countries. Following that he joined Renova Group of Companies to advise on its foreign activities, high-risk projects, reputation building and charity endeavors. In this quality he was selected to join the most prestigious Russian public relations award panel, the Silver Archer, as an expert on international campaigns. In 2011 he moved to the Skolkovo Foundation, where he currently continues his employment as the Director of the Department for International Cooperation. He supervises international activities of the Foundation, articulates international strategic priorities, communicates with large corporate partners and represents the organization before government, foreign and international bodies for the purposes of international cooperation.